Weekend boot spots: Ace or X - which team are you on? There is still plenty of good spots out there, despite club football being put on hold. This is naturally primarily thanks to the international fixtures, but this weekend also had an extra little bit of something special going on. Check it out! Both Mesut Özil and Zidane were both in attendance, when adidas hosted a launch event in Berlin. This weekend they both tried out the new Ace boot. Zidane wore them in a Classic game, between retired stars from Real Madrid and Liverpool (the leather version) and Özil for Germany during their European Championship qualifier. 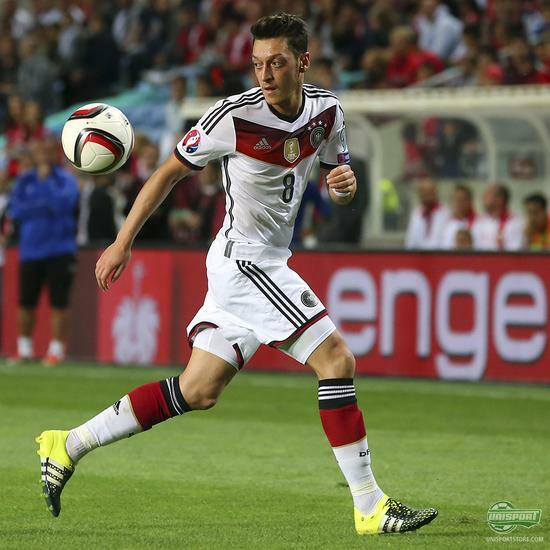 It does however look like Özil has had his specially made, as there appears to be a good handful of studs missing. 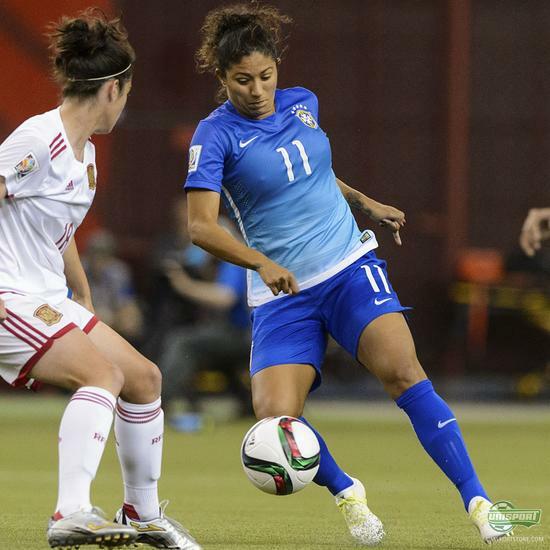 In Canada the Women’s World Cup is going strong. We caught Boquete from Spain and Cristiane from Brazil in their Ace and X boot models, which are specially designed for women. Which do you like the best – the men’s boots, or the women’s boots? Wales are hot on the heels of Belgium, when they beat them in their European Championship qualifier and now sit just 3 points off the top spot. 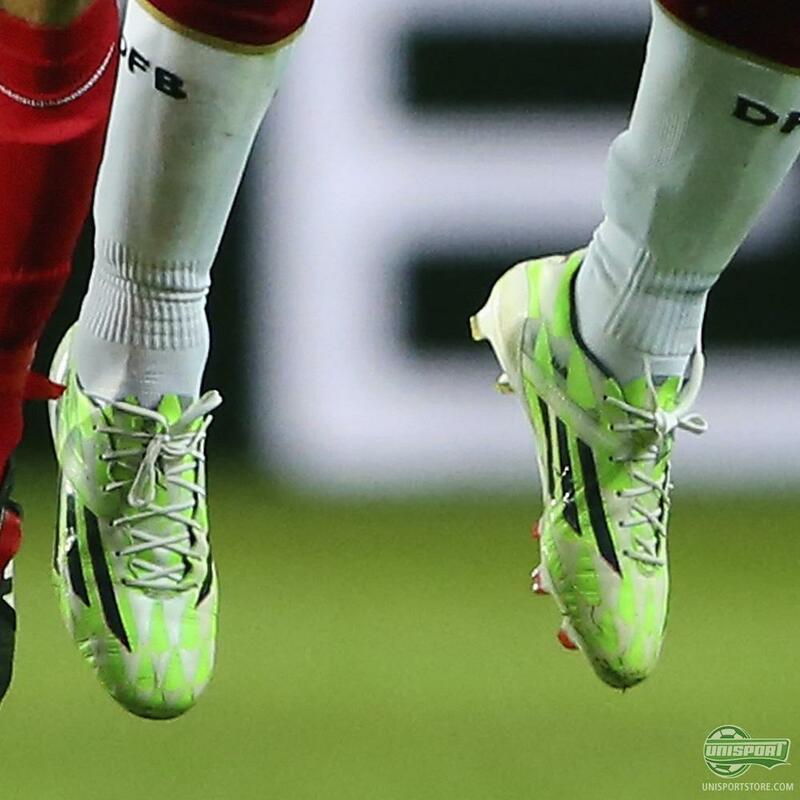 Bale or Witsel both don’t look to be quite ready for adidas’ revolution yet, as they both decided to wear the now replaced F50. Are you planning to keep the f50 alive a little longer yourself? And in the same match we also stumbled on these two fellas. Joe Ledley has for quite some time been wearing a shaved down Magista Obra, but now looks to be joining the #NBBlackoutSquad. 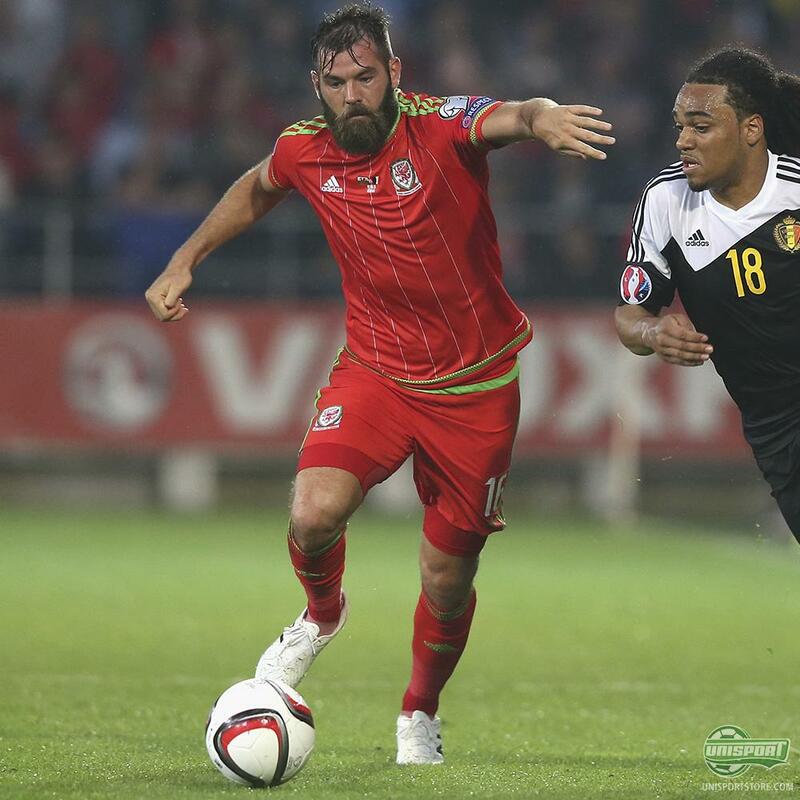 Wales’ goalkeeper in the meantime looks to have picked the Umbro Velocita. A boot that JayMike has actually reviewed earlier. Watch the review here. There was a lot going on in the Germany camp this weekend. First and foremost it looks like Gündogan has chosen the leather version of the new X, which is always cool to see. Schweinsteiger on the other hand looks to have not liked the technologies at all, but loved the design, so adidas have fixed him up with an f50 adizero 2014 version, which is disguised as an X. 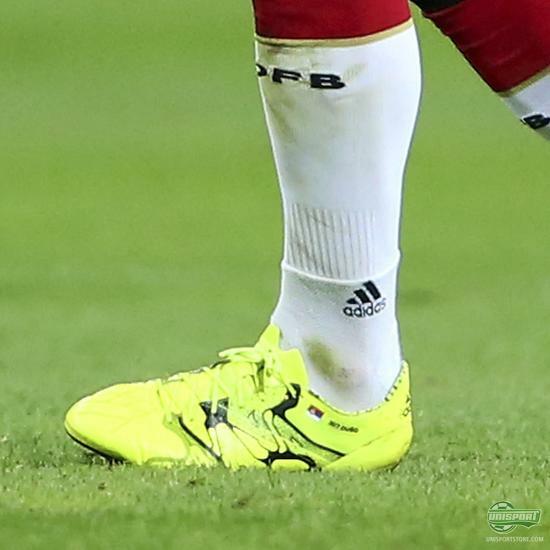 Unlike Schweinsteiger Lukas Podolski has just stayed in his Supernatural Pack boots. What’s with these Germans? It looks like David de Gea has finally switched! Calm down United fans, he has only switched boots. Until now he has been wearing adidas gloves and PUMA boots, but with the introduction of the Ace15, he has completed the move to adidas. 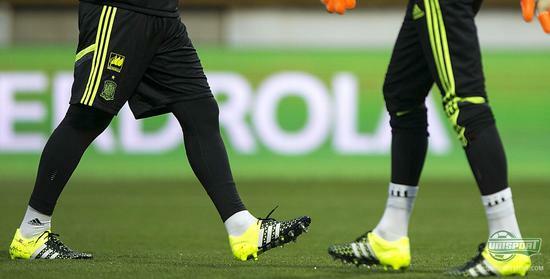 Whether or not Casillas has influenced his choice is unknown, but both apply their trade in the control boot now. It’s always interesting to see how players get boots made to suit their specific needs and it is also fun to see what boots retired footballers go for. Zidane is still a full-blooded adidas man. What are you? Let us know!